The Laguna Hotel represents the statewide opportunity to utilize the new Texas historic preservation tax credit, coupled with the federal historic preservation tax credit, to revitalize landmark hotels in towns big and small across Texas. Whether used as hotels or adapted to new uses as offices or residences, early 20th-century hotels that stand vacant across the Texas landscape are ripe for renewal. 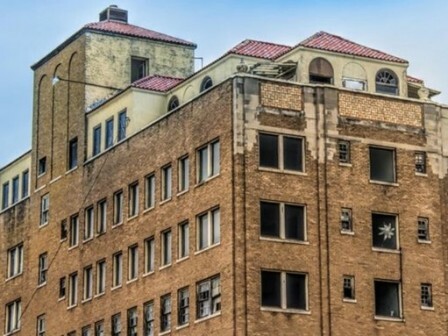 The restoration of the historic Hotel Settles in Big Spring is an example of how preservation investments in historic hotels can stimulate additional restoration efforts and bolster community pride.